Interview: Andrew Kreisberg Talks About Wednesday’s Arrow Season Finale! Interview with Andrew Kreisberg about the Arrow Season 1 finale, "Sacrifice." 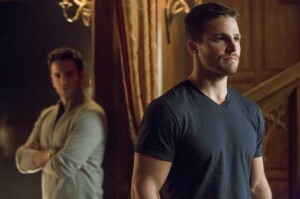 Wednesday night, May 15 brings us the highly-anticipated first season finale for Arrow on The CW. 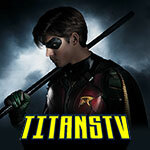 The episode title, which is ominous in itself, is “Sacrifice.” We’re not ready to guess who or what will be sacrificed this week, but we did get some hints about the finale and moments to come from the show’s Executive Producer, Andrew Kreisberg, in an interview that we conducted this morning. 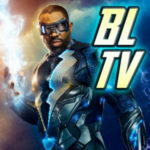 GREENARROWTV’S CRAIG BYRNE: A lot of people are excited for the confrontation between Oliver and Malcolm in Wednesday’s finale. How much of that can you tease? ANDREW KREISBERG: I think they got a real sense at the end of “Darkness On The Edge Of Town,” that while Oliver hates Malcolm, Malcolm doesn’t necessarily hate Oliver, which I think adds an interesting dynamic to things. Oliver has lost twice to the Dark Archer, and I think that Oliver himself isn’t sure that he could beat him, so the way things play out in the finale, I think, will be both surprising and exciting for the fans. What can you tell me about the Markov device, and what might happen if it is activated? Well, you heard from Moira that if activated, it could cause an earthquake. We talked about it… we knew that Malcolm wanted to level the Glades. That’s something that we thought about early on when we were conceiving Series 1, but we wanted to keep it somewhat in the realm of possibility, rather than just a nuclear bomb that would detonate things. Malcolm’s goal isn’t to destroy for destruction’s sake. He really wants to save the city and rebuild it. So, reducing it to rubble and starting from scratch feels like a justfiable way for him to go about it. Our production designers and our prop people came up with an amazing look for the device, and it’s pretty cool when you see it. So if Malcolm doesn’t succeed, do you think he will feel that he has failed this city? I think at the end of this episode, a lot of people are going to feel like they have failed the city. Are you allowed to say if everyone is going to make it out of this finale alive? Everyone that we’ve seen before. Everyone that we’ve seen before? I would say that the finale is surprising, and emotional, and you’re just going to have to tune in. That other comic book company will soon have a show on the air based on one of their properties. 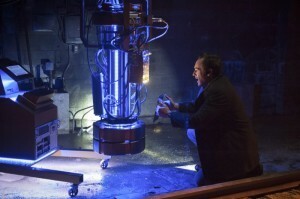 Is there any pressure to make Arrow even bigger for Season 2 as a result? You know, I’m as excited about SHIELD as anybody. I think that the pressure that we feel is even more the pressure that we put on ourselves. We’re really proud of Season 1, and the show itself is bigger and bolder and more epic than we ever thought was possible. For ourselves, we want to continue that into Season 2. Some of the stuff we landed upon was by accident, and some of it was by design. For Season 2, we’re trying to make it as much of it by design as possible. So the pressure we feel is more the pressure we put on ourselves, rather than from any external force. Even a force as strong as SHIELD. Was there anything that fans responded to from Arrow Season 1, really well, that kind of took you by surprise? I think the biggest was Felicity. Felicity wasn’t a part of our conception of our show at the beginning, and really, was just a one-off, but we had fun with the writing, and then Emily came in and just blew our socks off and really filled out the part. As soon as people saw her, and as soon as the studio saw her and the network saw her, they were like “we really like her, we want to see more of her,” and now, she’s such an integral part of the show, it’s hard to even believe that at one time she wasn’t even a part of it. That’s probably, far and away, the biggest surprise of the season, as far as what the fans have reacted to. Are there any moments in the season finale that will really stand out for comic book fans? Yeah. There’s a…. wait, let me think. [Stops himself before spoiling anything] Always in any given episode, there are shoutouts to the DCU universe. More than anything, I hope that we’ve delivered an almost movie experience for the fans. The finale is so big, and so huge, and is such a game changer for so many characters. I hope that people will look at it and go “wow. That was one of the best season finales after a really good season” that that they’ve ever seen. Speaking of the shout-outs, Ted Kord was recently name-checked on the show. 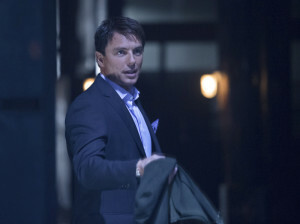 Is there any chance we might see him in the flesh on Arrow in Season 2? Aside from the major Superman and Batman characters, DC has been really good about letting us play with their roster. We’d never say never to anybody. 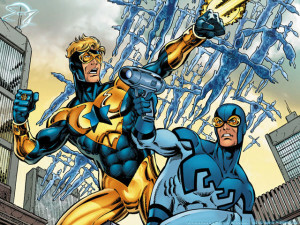 Kord Industries actually plays a part in my Booster Gold pilot, so, who knows. He might be on two different shows, played by two different actors. So there’s no chance the two shows could exist in the same universe? There’s always a possibility. There’s a line in the Booster Gold pilot where somebody says “we finally have our own hero. Not like that nut in Starling City with the hood.” I don’t know if they’re going to let me keep that line over there, if they [Syfy] actually make the pilot, but it sort of makes me smile to think that it’s the same universe. How far ahead have you guys mapped out for Season 2 or beyond? In the back of our heads, we’ve had a lot of stuff that we’ve proposed for very far ahead, that go almost to the final episode of the series, hopefully which is many years away. But for Season 2, the writers… we came back right away. We felt like we were in a groove, and we’ve already mapped out major arcs for Season 2, and pitched that to the studio, and we’re really excited about jumping back in and picking up where the finale leaves off. We recently got to see where Diggle lives. Will we learn more about Felicity’s home life in Season 2? That’s definitely the plan. We have a pretty fun idea for what Felicity’s home life is like; what sort of home would produce such an amazing, wonderful, insecure, tough as nails, vulnerable, hilarious girl like Felicity Smoak. We’re certainly excited to explore that. Should we expect for the conflict between Oliver and Tommy to grow even more after whatever happens in the finale? Yeah. Their friendship has obviously been central to the show. Oliver came back and Tommy was one of the first people there welcoming him home. They’ve obviously had their trials and tribulations this season, and it all comes to a head in the finale. Do you have any final words about the finale? I would say to make sure to have tissues and a defibrilator ready, because it’s both emotional and exciting. We’re proud of it. The Arrow season finale airs Wednesday night, May 15 on The CW! Take a look at some preview images here!